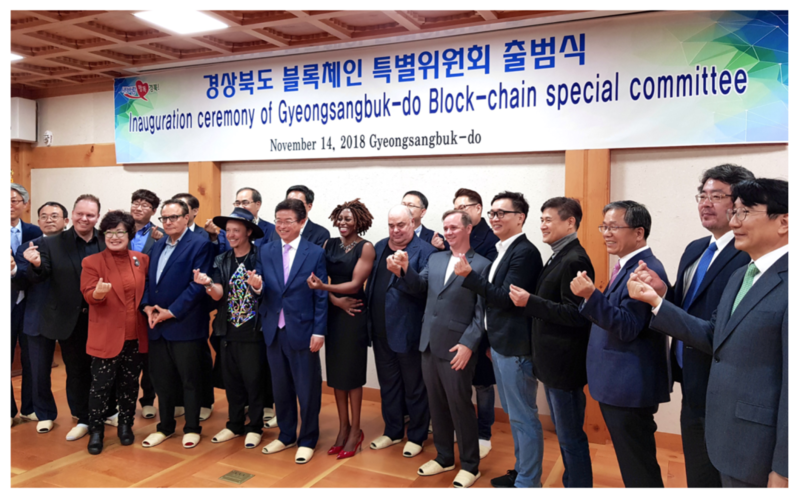 Under Kyungsangbuk-do’s governor Chul-Woo Lee’s special order, in August a benchmarking team was sent to the mecca of blockchain, Switzerland Zug’s CryptoValley. Kyungsangbuk-do has also signed a contract with an Israeli startup acceleration company. The province has been actively constructing a global cooperation system to incubate a blockchain industry. Kyungsangbuk-do is a province where 2.7 million Koreans reside, with a GDP of 136 trillion won scale (2018). The province’s vision includes a blockchain and AI revolution transforming its manufacturing-based industry. Kyungsangbuk-do has stated this committee is not restricted by Korean borders; its purpose is to encompass the globe. Thus, the committee includes numerous international members, such as RChain Cooperative’s business development general manager, Jonathan Kochmer; former Bitcoin Foundation Director, Brock Pierce; AMCHAM chairman, Jeffrey Jones; Switzerland Momentum representative, Eyal Oster; and co-founder of Johns Hopkins Alliance for AI in Healthcare, Annastasiah Mhaka.